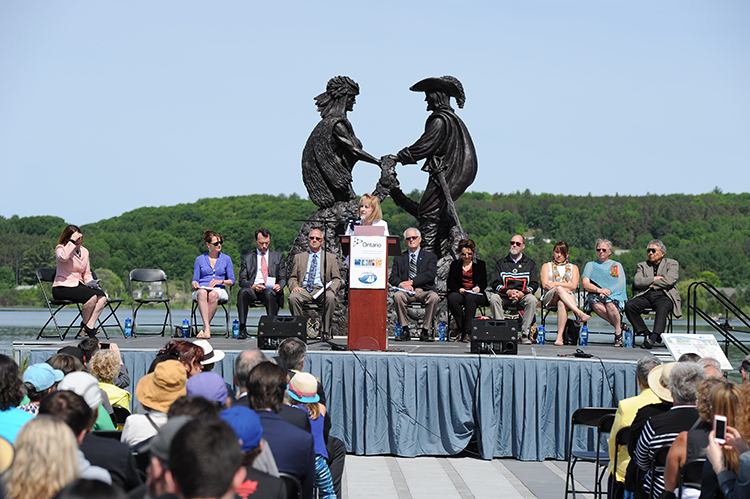 On June 10, 2016, the Office of Francophone Affairs, the Ontario Heritage Trust and the Town of Penetanguishene hosted a special event at Rotary Champlain Wendat Park in Penetanguishene, to mark the official closing of the commemoration of 400 years of French presence in Ontario. On August 1, 1615, French explorer Samuel de Champlain arrived on the shores of Georgian Bay in the region of what is now Penetanguishene. 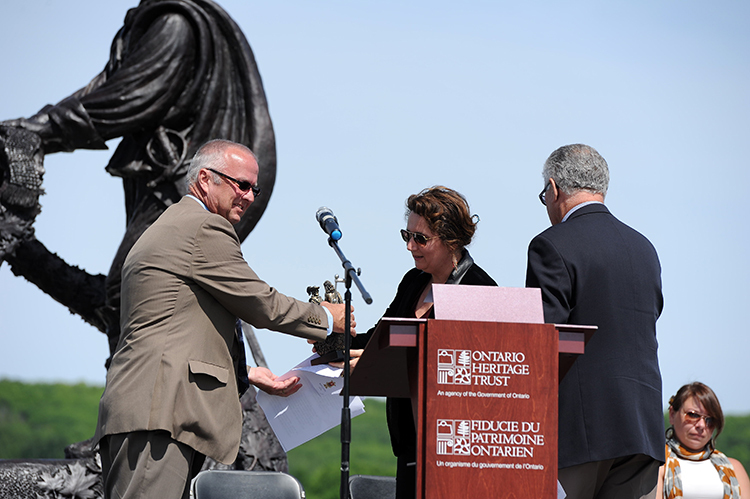 During his travels, he established a strong alliance with the area’s Indigenous peoples and later published important descriptions of the people, societies and landscapes of what would become Ontario. 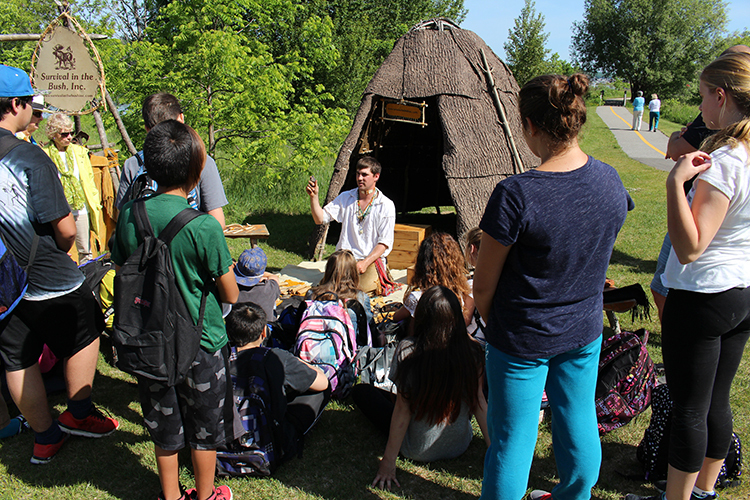 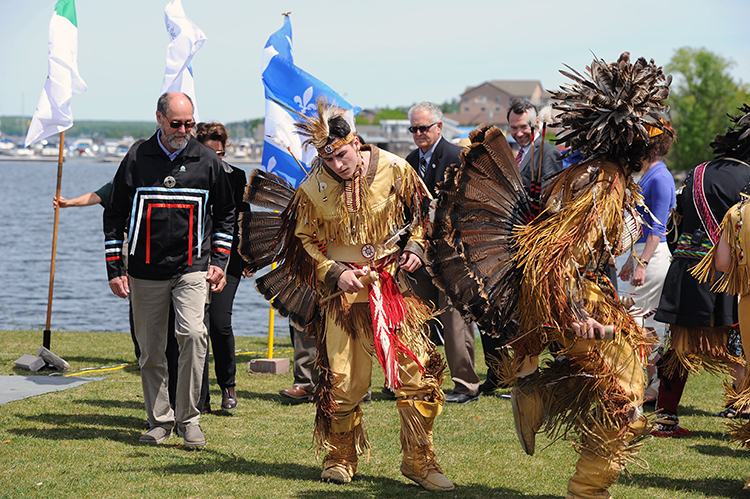 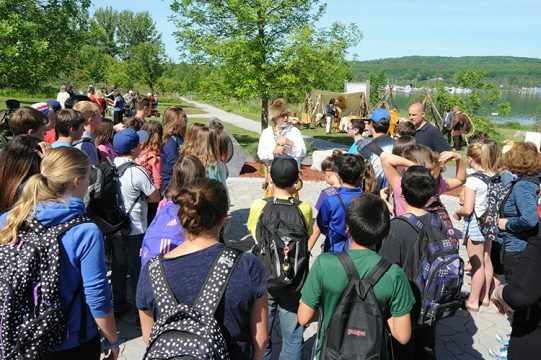 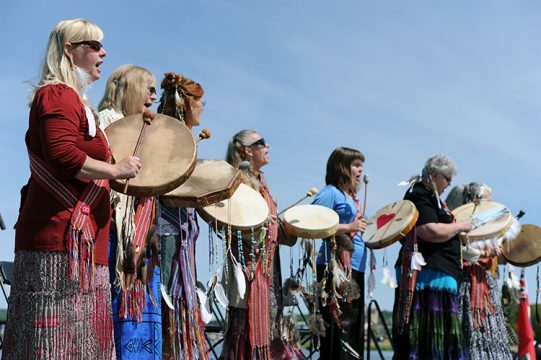 Rotary Champlain Wendat Park commemorates Champlain’s visit to the region. The park’s Legacy Walkway features six statues portraying individuals and peoples significant to the history of Ontario and Canada. 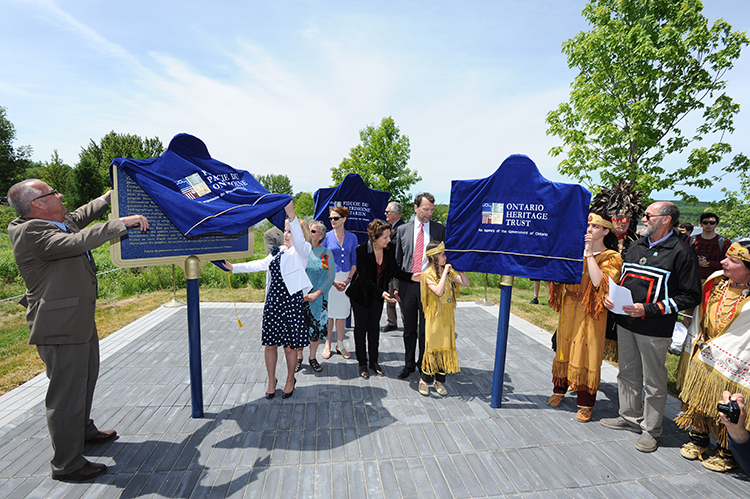 Three provincial plaques located at the park share the story of Champlain’s sojourn in Ontario in 1615, told in English, French, Anishinabe, Montagnais-Innu, Mohawk and Wendat.